This description of Sharon Gamson Danks's work was prepared when Sharon Gamson Danks was elected to the Ashoka Fellowship in 2017. Sharon Danks inspires and enables communities to enrich their school grounds and use them to improve children’s well-being, learning and play while contributing to the ecological health and resilience of their cities. Sharon is leading a global movement to transform school grounds into living, vibrant, child-centric spaces with rich ecosystems and strong connections to the local community. Over the last decade, she co-founded a global network of early innovators and practitioners that demonstrates how to transition asphalt-covered schoolyards into vibrant, multi-use, living school grounds where children can engage in more playful learning, explore, and create in environments with rich local ecosystems. Now, she’s working with American school districts, beginning in California, to unlock major new funding streams to realize the potential of green schoolyards on a massive scale. Through her nonprofit organization, Green Schoolyards America, Sharon is helping reclaim school grounds as public spaces that can benefit young people while also increasing environmental, economic, and health outcomes in the process. She seeks to shift American school grounds from the outdated, standard landscape of asphalt and grass, designed in the 1940s, to multi-use, nature-rich environments better suited to the needs of 21st Century children and their communities. Through Green Schoolyards America, Sharon builds interdisciplinary partnerships that bring new voices, ideas, and funding sources to the green schoolyard movement at an institutional scale, and seeks to embed a living schoolyard approach in state and local policies. She works systemically at the school district, municipal, county and state levels to connect education, health, and recreation goals with ecosystem and green infrastructure planning. This engages a larger group of stakeholders and government agencies drawn to multi-benefit urban infrastructure-based outcomes that include stormwater management, climate change mitigation, and wildlife habitat creation, as well as equity, and economic and public health benefits. Sharon’s overall goal is to build a wider, deeper, more coordinated green schoolyard movement that will become the new norm—benefiting all children and the places they learn and play every day. By expanding the set of stakeholders who care about greening schoolyards—shifting from a handful of engaged parents to win-wins with major public agencies—Sharon is unlocking the potential of green schoolyards and all their benefits while also creating multi-stakeholder collective impact models that build more livable, resilient cities. Public school districts are one of the largest land managers in almost every city and town across the United States and around the world. In California alone, over 10,400 public schools in more than 1,000 school districts serve more than 6.2 million kindergarten to 12th grade students each year on over 130,000 acres of public land. Choices made by school districts about how they manage their landscapes profoundly impact the ecological health of their cities and generations of local residents whose perspectives, well-being, and academic achievement are shaped through daily outdoor experiences at school. Much of the school ground land in California is in the heart of its cities, completely covered in asphalt and stripped of almost all plant and animal life. This reality harms local ecological systems, deprives children of a daily connection to nature, and creates harsh learning and play environments. Paved school grounds are also detrimental to watersheds and contribute to urban heat island effects, which are getting more profound as climate change progresses. The most severely impacted school grounds are in the lowest income areas—posing serious environmental justice and equity issues in addition to social, health, and environmental concerns. This situation in California is echoed in cities across the country. Over the past few generations, childhood itself has also changed, becoming more heavily scheduled and closely controlled. These days, few elementary school children are free to explore their city on their own in ways that previous generations took for granted. The asphalt-covered spaces and empty fields American children encounter in their traditional schoolyard landscapes have become their primary experience of the outdoors. These environments generally lack the spirit of adventure, challenge and wonder that could be found by previous generations who spent more time on their own, walking in the woods, climbing trees, building forts, and learning to solve life’s every day problems as they arose. Over the last thirty years there has been a small but growing groundswell of grassroots solutions to improve school grounds – from edible gardens to community “adventure playgrounds” – intended to help rebuild children’s connections to nature, improve their eating habits and physical activity, and increase their freedom to play. Many schoolyard improvement projects of this kind are have been relatively small scale projects driven by groups of parents and community leaders who rely on low budgets and “barn-raising”-style community engagement. While successful on a small scale, these efforts have not yet reached every school, and their goals have generally remained in line with their modest budgets. One need not look too far to understand the underlying challenge: schools in the US are vastly under-resourced. With significant land holdings and limited budgets to manage or maintain them, school districts are left with a narrow range of choices about how to handle their open spaces, if they work in isolation. Most schools, especially in poorer urban areas, have resorted to paving their grounds with easy-to-maintain asphalt. In addition, urban planning frameworks separate school ground land use planning from wider land management goals of the surrounding communities. In most cases, decisions about school grounds are made by facilities departments alone, and only consider maintenance costs without seeking to align their work with their school districts’ broader goals for education, children’s health, or strategic planning for local ecosystems. Most school districts would benefit from including a wider range of stakeholders in the decision making process, so that they can seek multi-benefit outcomes that serve children’s health and education more fully, while also improving the local environment and creating assets for their communities. The bigger problem, as Sharon points out, is that the infrastructure our school districts manage doesn’t align with the educational outcomes they now seek for their students. Across the country, our schools are trying to educate children to be critical thinkers and changemakers for the 21st Century while using buildings and grounds designed to meet the needs of 1940s school curricula—intended to prepare students to be good soldiers and participants in an economy that was then focused on assembly lines and automation. Via Green Schoolyards America and the International School Grounds Alliance, Sharon is transitioning what has up-to-now been a piecemeal effort into a full movement that fundamentally reimagines what is possible in schoolyards while unlocking the resources to do so sustainably and at scale. Her strategy is therefore focused on building the infrastructure required for the field to gain solid footing and grow with speed, drawing on Sharon’s environmental city planning background, her nearly twenty years of experience in the field, and the expertise of her broad network of collaborators. Specifically, her strategy involves four complementary pieces: (1) build capacity at the school district, municipal, and regional levels, (2) align state level policies to make it easier to implement green schoolyards on a larger scale, (3) increase funding for schoolyard greening, by gathering a wider network of stakeholders, and (4) build broader institutional partnerships and greater interest in the field to overcome our collective crisis of imagination and reclaim what has largely been abandoned public space. 1. Sharon has found that many school districts are interested in greening the school grounds they manage, but need help to build internal capacity and expertise in this field, and to establish durable, affordable implementation and management plans appropriate to these more complex landscapes. To this end, Green Schoolyards America has been working with school districts in California to help them build robust green schoolyard programs that resonate with their facilities master plans, curriculum needs, public health goals, equity goals, and other district priorities. This effort often includes helping district leadership convene conversations that cross departmental lines, within their own organization and also connect with like-minded public agencies and infrastructure-scale funding sources outside their organization. Green Schoolyards America also runs a lecture series and professional development programs designed to deepen understanding of the field and build participants’ collegial networks. The Green Schoolyards America Principals’ Institute, for example, supports school administrators in their pivotal role as leaders of their school communities and champions of healthy and dynamic school environments. The Institute provides resources, expert guidance, professional development and a peer network that helps principals to adopt and sustain comprehensive, high-quality green schoolyards at their schools. 2. There are many state level policy and regulatory guidelines that influence the development of school grounds at the local level, and where even small changes can have a significant impact on the viability of new green schoolyards. Over the last several years Sharon and her colleagues have influenced notable shifts in the State of California: In 2013-14, Green Schoolyards America worked with Assemblymember Phil Ting and other partners on a state government resolution to promote green schoolyards, which passed in June 2014. Assembly Concurrent Resolution No. 128 (ACR-128) now declares the month of May to be “Living Schoolyard Month” in California and encourages all schools to design and construct student-accessible green space for academic instruction. In 2014-2015, Green Schoolyards America was a member of the statewide task force that created the Blueprint for Environmental Literacy for the California State Department of Education, with green schoolyards and outdoor learning featured as a key strategy for achieving statewide goals. Over the last few years, Sharon has been exploring policy shifts with state and local agencies that would develop green infrastructure on school land to manage stormwater, mitigate the effects of climate change, and contribute to positive public health outcomes for children and their communities. 3. Public schools in California receive some of the lowest levels of funding in the country. This reality means that every aspect of its public education system needs more money than it has. In order to find funding to transform school grounds, Sharon is exploring a range of sources outside traditional school district coffers. Green Schoolyards America’s strategy is to seek partnerships with other sectors that have the funding and the mandate to improve public land for the benefit of communities and the environment, so that those investments can be leveraged to achieve their desired outcomes while also benefiting children at school. One recent area of focus is stormwater management because paved school grounds have adverse effects on their local watersheds. In January this year, Green Schoolyards America partnered with the San Francisco Public Utilities Commission and the San Francisco Unified School District to host a series of stormwater schoolyard-related events. The events provided information for the public, and professional development for landscape architects and engineers focused on best practices for integrating children’s needs with stormwater management goals and regulations. Similarly, Green Schoolyards America sees climate change mitigation funding as a substantial potential resource for schoolyard greening in California. In 2016, Green Schoolyards America worked with like-minded colleagues to successfully advocate for schools to be eligible to apply for climate-related grants from California’s $76 million Urban Greening Program. 4. The green schoolyard movement will succeed over time if it has a wide base of supporters at both the grassroots and institutional levels. A significant part of Sharon’s work relates to building demand for green schoolyards and raising awareness about the possibilities they hold for our children and the environment. This includes pushing the public, and educators in particular, beyond the narrow view of school grounds as places that should be ‘safe’ and easy to maintain, full stop. This involves engaging new audiences with books: Sharon wrote Asphalt to Ecosystems: Design Ideas for Schoolyard Transformation, published by New Village Press in 2010, which has become a staple resource for the field. She is also the editor of a two-volume schoolyard Activity Guide series, with 187 schoolyard activity ideas written by 143 collaborating organizations from across the United States and 20 other countries. The Activity Guide set is offered for free on the websites of Green Schoolyards America and the International School Grounds Alliance, and represents a way to build community and a common language in this field while getting more children outside, more often. Sharon is also a frequent public speaker at events across the United States and abroad, and so far directly reached a total of more than 15,000 audience members in the course of her talks. Green Schoolyards America’s work to build demand for this field also involves highlighting existing research as well as collaborating with partners to conduct original research to demonstrate with increasing rigor the range of benefits of schoolyard greening. Sharon is undertaking a study to measure school ground surface temperatures in California (which can reach triple digits in non-shaded areas) as part of broader urban heat island research. One aspect of this research is structured to include children as citizen scientists who can track and measure the temperatures at their own schools, and propose solutions to the hot spots they encounter. Green Schoolyards America is also collaborating with professors at Occidental College to study the impact of infrastructure-scale green schoolyard investments on children and the environment. The more research Green Schoolyards America and its partners conduct, the easier it will be to expand the green schoolyard movement to include a wider range of partners and funders across the fields of education, health, and the environment. These four main threads of work have in common the goal of identifying key barriers and leverage points, as well as bringing together the community of practice for the advancement of the field. Sharon and her team run pilots as they develop new approaches and ideas. This allows them to test their hypotheses and fine-tune their programs, adding to their deep understanding of the field. They also disseminate what they learn in order to foster broader adoption of green schoolyards and more wide spread infrastructure-scale investments for school grounds and the children they serve. Sharon’s impact on the field is already clear in that she has established a powerful vision as well as a set of core principles and best practices that others can run with both here in the United States and abroad. This includes a methodology for convening school communities and other stakeholders to look out at a blank slate of asphalt and envision something new, together. This process of community engagement in design, inspired by Sharon’s mentors Professors Randy Hester and Marcia McNally, includes a strong focus on ensuring that young people’s voices are heard and honored throughout the process. With children (literally) at the drawing board, a new style of school ground design emerges. While adults tend to value visually simple, orderly, easy-to-maintain spaces conducive to ball sports, children envision playing ball along with more varied, complex, immersive natural spaces with forts, hills, water, sand, animals, and trees and other things to climb. Other key design principles include making sure that the plan is in an ongoing state of development so that waves of community members can take ownership as the school community changes over time. And, most importantly, that the work is ‘owned’ by more than a well-intentioned non-profit or a handful of dedicated parents, but embraced and sustained by a much broader community and set of institutions. In this way, Sharon models a way in which all city dwellers can more routinely and meaningfully interact with their public land, learn about interconnected systems, biological processes, teamwork, and themselves; and see not only increased educational outcomes but also health, environmental, and economic improvements. Building on a foundation of green schoolyard work beginning in 1999, Sharon co-founded the design firm, Bay Tree Design (baytreedesign.com) in 2007 with California-based colleagues Lisa Howard and Arden Bucklin-Sporer. In 2011, she co-founded a global network of school ground practitioners called the International School Grounds Alliance (internationalschoolgrounds.org), along with colleagues Cam Collyer (Canada) and Mary Jackson (England). 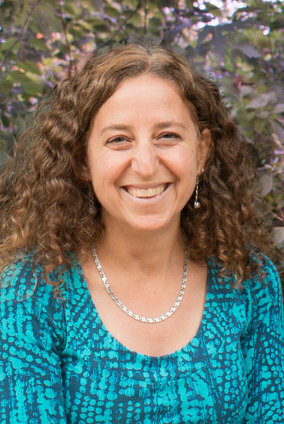 Sharon founded the nonprofit Green Schoolyards America (greenschoolyards.org) in 2013, with the vision for scaling up the green schoolyard movement in the United States and applying lessons she learned about the field while traveling abroad and working closer to home. While her work has found traction from Oregon to Wisconsin to Washington, DC, Sharon is focused on California as the pilot state to demonstrate what’s possible—a state she calls home, that also happens to have more than 10 percent of the nation’s public schools and public school children, and more than 130,000 acres (203 square miles) of public school land. Growing up in the suburbs of Chicago. Sharon had what she calls a “free range” childhood full of fort-building, bike rides, and neighborhood berry picking, rarely under the watchful eye of an adult. At age 9 she and some friends started a craft company called Beads, Etc. and made small handmade items that they sold around town and through a hand-drawn catalogue. Though Sharon and her 4th grade business partners disbanded their “company” after a year or so, she continued to make and sell jewelry to local boutiques to earn pocket money through high school. After college she also used her art skills to found and teach in the glass bead-making program at the community Craft Center at UC San Diego. In 2000, just after receiving her master’s degrees in landscape architecture and city planning (MLA-MCP), Sharon was awarded the Geraldine Knight Scott Travelling Fellowship from UC Berkeley’s Department of Landscape Architecture and Environmental Planning, and traveled to Canada and Europe to study school ground design and use. This trip and others that followed, combined with her early entrepreneurial experiences, her professional training in urban environmental planning, and a burgeoning interest in how cities can be more responsive to children and environmental needs, led Sharon to a start Bay Tree Design with her colleagues in 2007. After working with more than 40 school communities in the San Francisco Bay Area and beyond, she began to see patterns, refine her process, and appreciate the urgency around helping foster the wider movement of greening America’s schools. This led her to shift from directly designing and transforming schools to helping inspire and support school districts, as a whole: fundamentally reimaging what is possible in schoolyards while unlocking the resources to do so sustainably and at scale.